Chase BMX is the leader of introducing new technologIES to BMX and with the RSP 4.0, the level of BMX frames has been RAISED once again! the level of BMX frames has been raised once again! 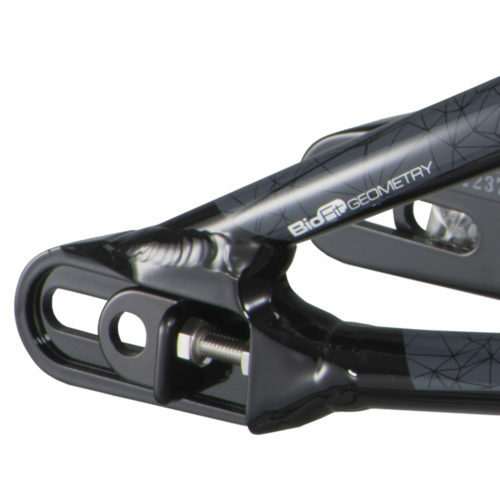 The CHASE RSP 4.0 starts off with the Olympic and World Championship geometry that Chase Pro Riders Connor Fields and Joris Daudet have been winning on for years. The triple butted tubing keeps the weight down and the strength at an Elite level. The Aero Seat Post/Clamp system and the internal brake cable give the RSP 4.0 a clean, factory look, to match the all new graphics and colors! But here is where the RSP 4.0 gets really exciting – with the addition of new technical advancements on the Expert XL and larger size frames. These include a new enclosed dropouts with integrated 10mm (3/8″) chain tensioner system*, a integrated 1-1/8″-1.5″ tapered head tube, a press Fit BB86 Bottom Bracket, and the RSP 4.0 has been specifically designed to work with 120mm Disc brakes or traditional V brakes, with the optional ELEVN Disc Brake adaptor and 120mm Disc. 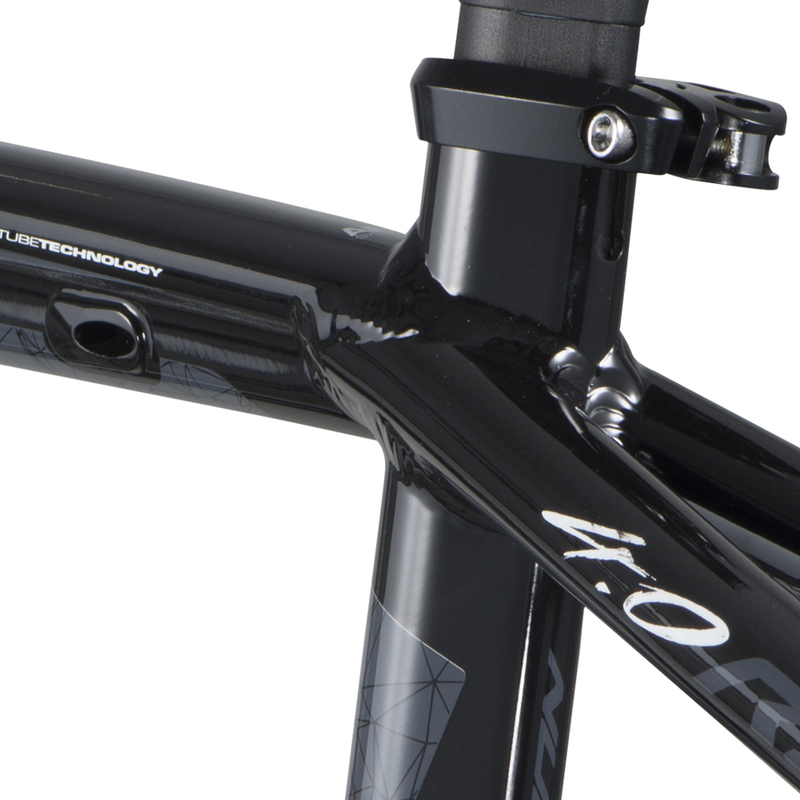 For the RSP 4.0, we are excited to offer 2 new frames sizes – XXXL and Expert Cruiser. 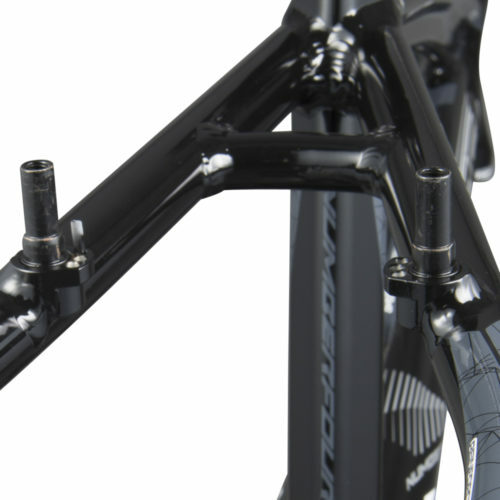 Also, the RSP 4.0 Frames are delivered to you with the 27.2 Aero Seat Post and Seat Post clamp and no additional cost! The Mini, Junior, and Expert sized frames are 200 grams lighter than the RSP 3.0 and also include the 25.4 Aero Seat Post and Seat Clamp. 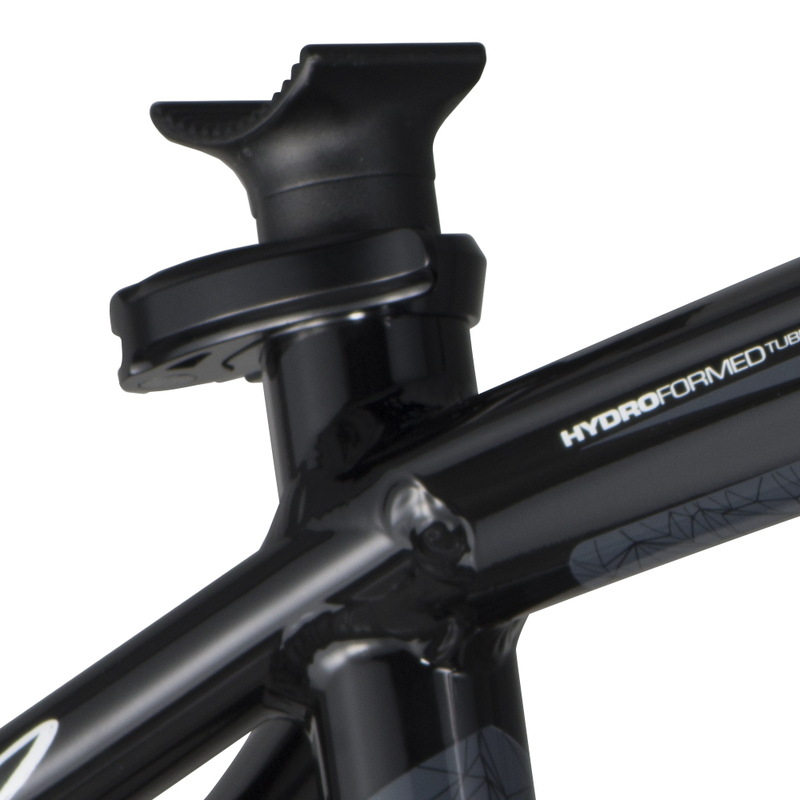 These frames also feature a traditional Euro BB, Open Drop out design, and a standard 1-1/8″ intergrated headtube. Put this all together and you get the best Alloy BMX frame ever created. 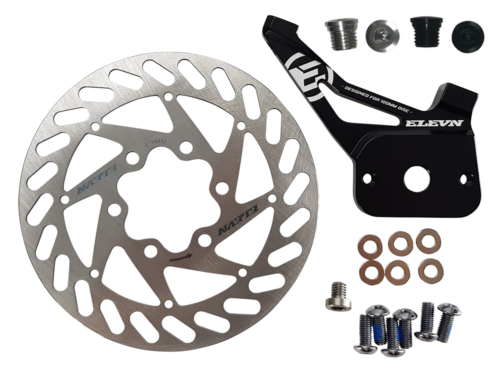 * For Chase RSP 4.0 frames sizes Expert XL and above, please not the Enclosed drop out on the frame will only work with hubs where the 3/8″ (10mm) axle bolts remove from the hub. 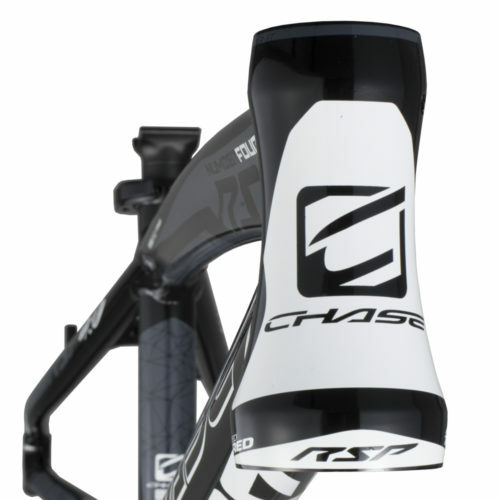 Chase Bicycles utilizes the Aero seat post tube, seat post, and seat post clamp into BMX racing with our RSP 4.0 frames. This is to not only to help gain fractions of a second on the track with improved aerodynamics, but the Aero tubes also offers a slightly stiffer feel. We know BMX bikes don’t need to go fully aero testing into a wind tunnel, but when races are won or lost by fractions of a second, every advantage will help. 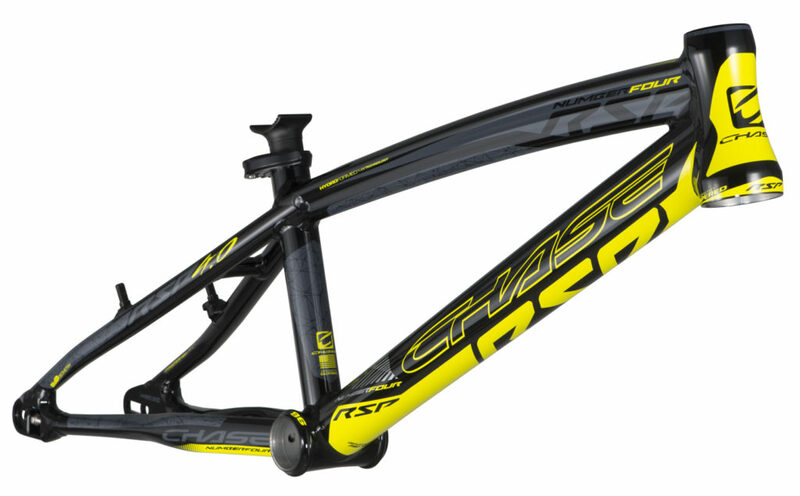 Chase Bicycles utilizes the triple butting on our line of RSP 4.0 frames. 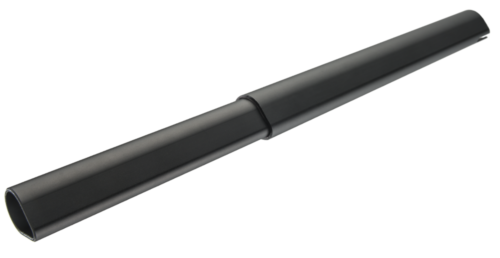 A triple-butted tube means it has three different wall thicknesses along its length. 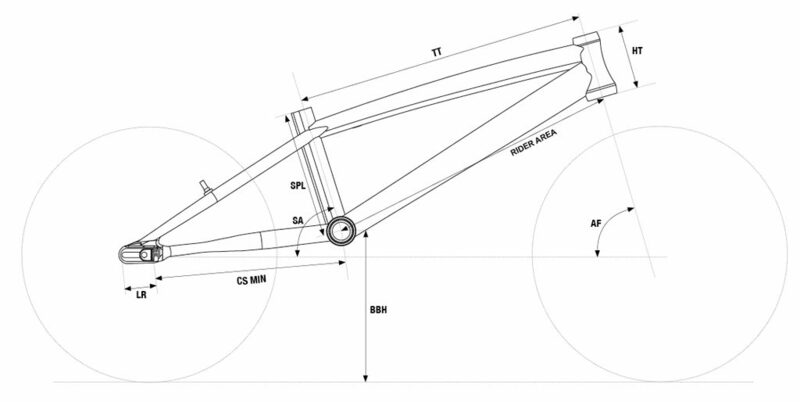 Chase uses this technology to reduce the amount of material used when building the RSP 4.0 frame, decreasing its weight by 15% compared to last years frame tubes used to construct the frame. Lighter where it can be and stiffer where it needs to be means no excess weight on the bike that gives you an advantage with the RSP 4.0 frame and against the completion. Chase Bicycles utilizes the CNC machining process to produce out 3D Modulus Dropout and small parts of the entire line of RSP 4.0 frames. Using the CNC process allows us to design parts that are specifically built to work the best with our proprietary frame tubes, giving us another way to control the overall weight and strength – flex factor on the frames, to give you, the best ride and feel from our frames. Precision machining enhances the beauty and craftsmanship ship of all frames offered from Chase. The Chase RSP 4.0 & ACT 1.0 Frames both use a Press Fit style Bottom Bracket tube. Press Fit BB are a simple and easy way to install a Bottom Bracket, where the Bottom Bracket you supply for your frame has the Bearings in cups and simply press into the frame, eliminating the chance of damaging BB threads, with the traditional Euro BB. The BB is usually lighter and easier to install and remove as well. 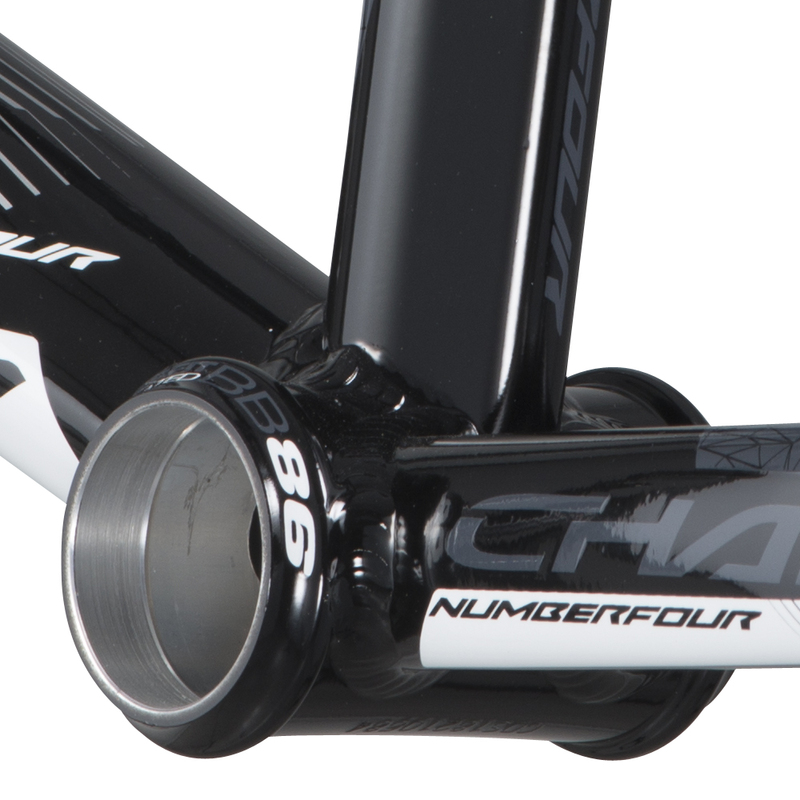 The Chase RSP 4.0 & ACT 1.0 Frames both use a Integrated Headtube. Tapered head tubes offer a combination for the bearing sizes. Our tapered head tubes have a 1 1/8” upper diameter to 1.5” lower diameter. this allows you to run a tapered steer tube fork, or use a full 1 1/8” fork steer tube, with the offered 1.5” lower bearing, when the headset has an optional 1 1/8” to 1.5” fork race option. The charts below show our recommended sizes based on height, but there are some other factors, like arm and leg length, that determine a great fit. That’s why you’ll see some overlap in our recommendations. Not every rider who’s 5´8˝, for example, will fit on the same size bike. The best way to find your perfect fit is to consult the experts at your local Chase retailer.